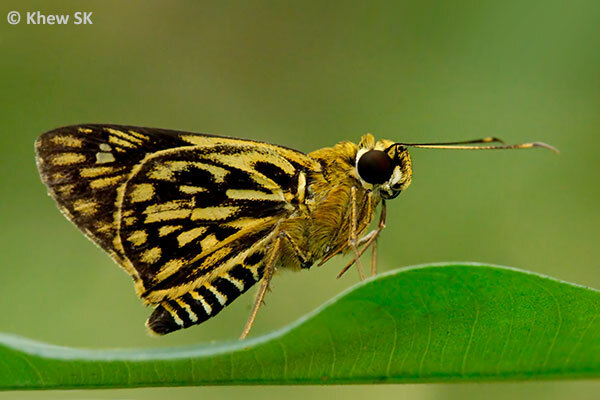 In this weekend's article about butterfly photography at Singapore's local parks, we feature a nature park that is on the banks of our Upper Seletar Reservoir. 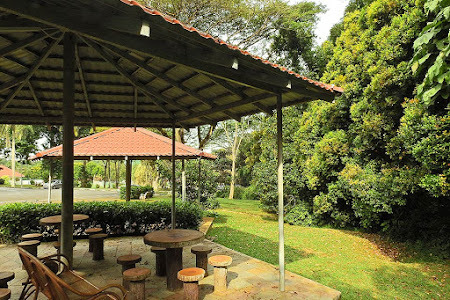 This park, called Upper Seletar Reservoir Park, is also immediately adjacent to Central Catchment Nature Reserve and is more heavily forested than the usual urban parks that we have featured in this series. 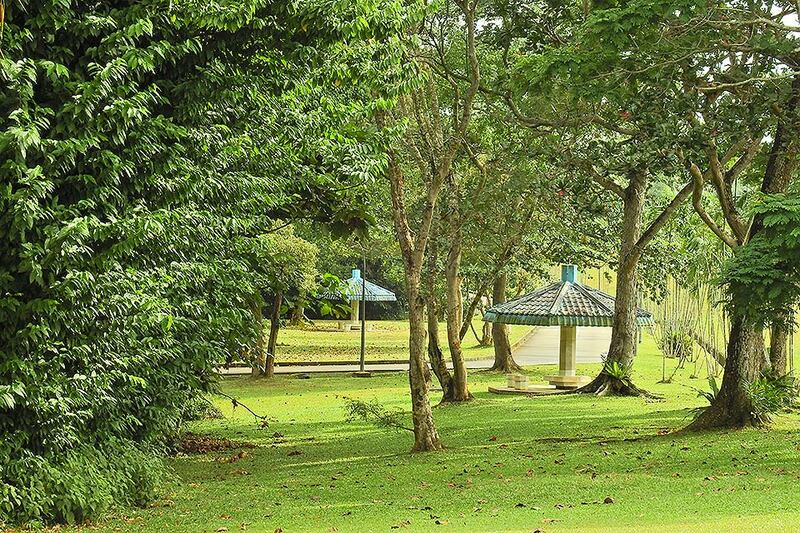 The 9-hole, Par 29 Mandai Executive Golf Course and Driving Range is also next to this park. Upper Seletar Reservoir Park covers about 15 Hectares of natural vegetation and is less heavily landscaped than a typical urban park. Where external planting is added to the area, these are minimal and the species selected appear to be more compatible with the nature reserves, where more native species are planted. The larger part of the park is left in its natural "wild" state with primary and secondary forest plants dominating the whole area. 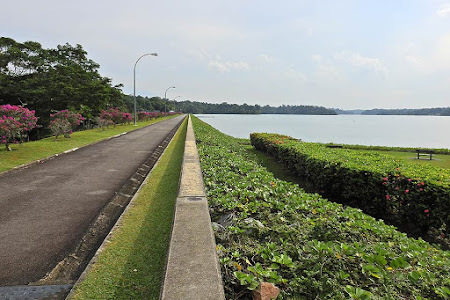 The Upper Seletar Reservoir, Singapore's 3rd impounding reservoir, (previously called the Seletar Reservoir), was built in 1920 and finally completed, after some upgrades in 1940. It was officially opened by Princess Alexandra of England in August 1969. The landmark rocket-shaped tower at Upper Seletar Reservoir Park. It is now a nationally-conserved structure for its heritage value. 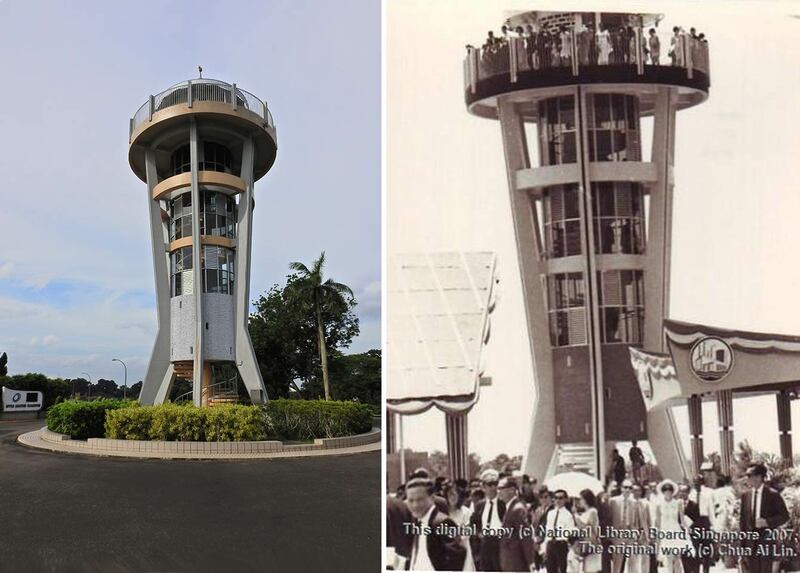 A rocket-shaped tower was designed by Singapore's Public Works Department (PWD) and completed that year, in time for the grand opening of the reservoir. 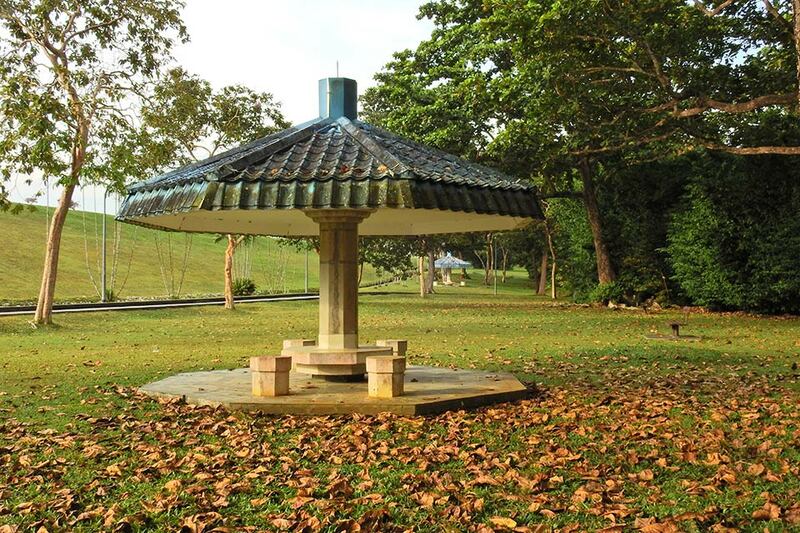 The 18m tall, six-storey iconic tower was a favourite with Singaporeans during that period. 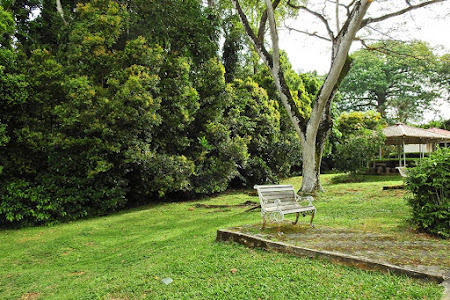 It was given conservation status in 2009 by the Urban Redevelopment Authority (URA). Access to Upper Seletar Reservoir Park can be quite inconvenient for non-drivers, although there is a bus service (Service 138) that stops along Mandai Road and it's a short walk to the nature areas from the bus stop. The first stop of interest to butterfly watchers starts at the two pavilions at Carpark B. From here, there is a short forest trail immediately behind the toilet block leading towards Mandai Road Track 7. 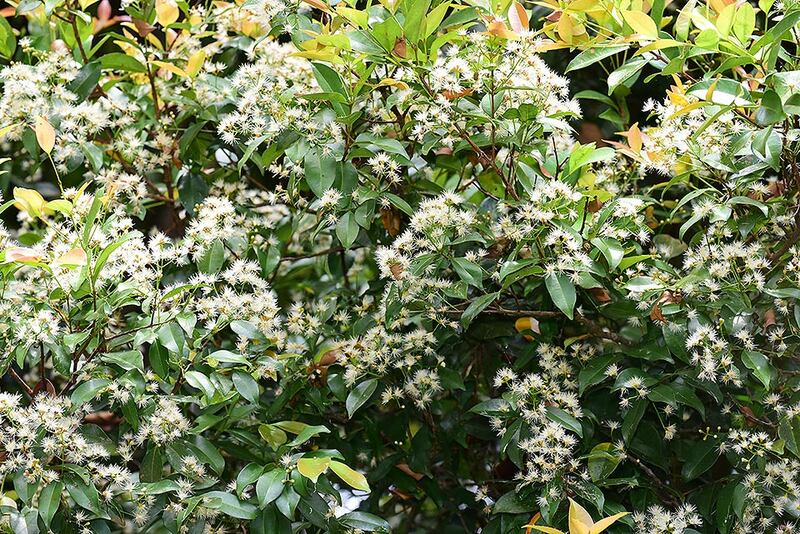 The forest vegetation immediately behind the pavilions can also be good for butterflies, particularly when the Syzygium trees flower. 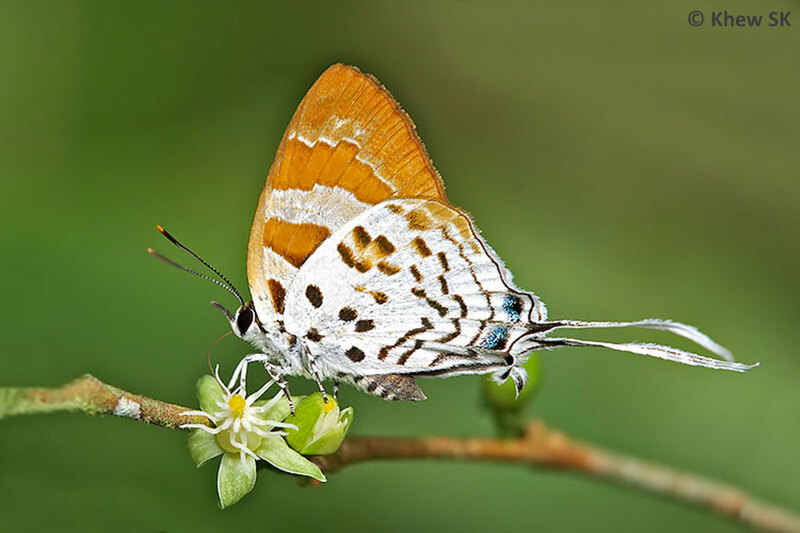 Many rare forest species can then be spotted feeding on the flowers. 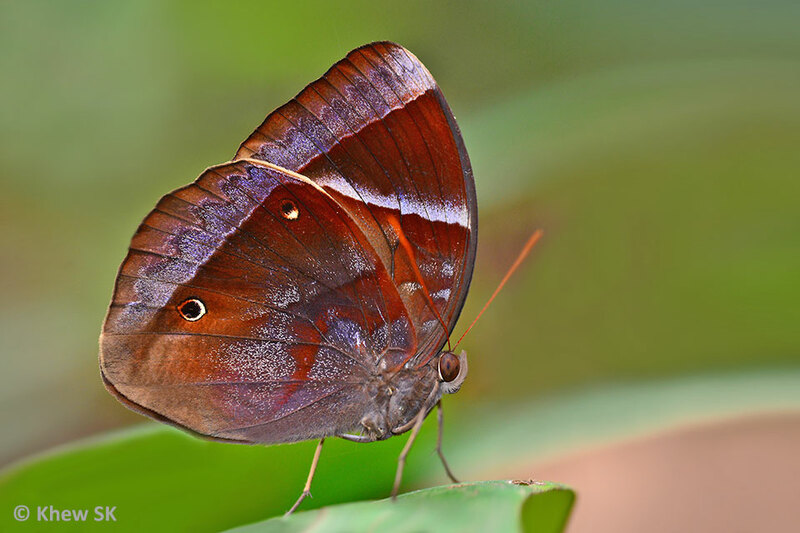 At other times, one needs to be patient and observe quietly for species like the Purple Duke, Malayan Lascar and a number of Oakblues (Arhopala spp.) 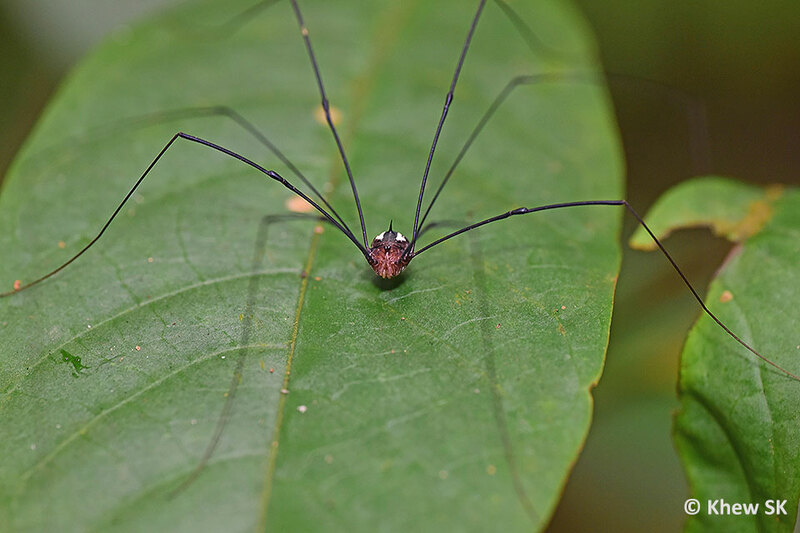 that will appear in the undergrowth from time to time. 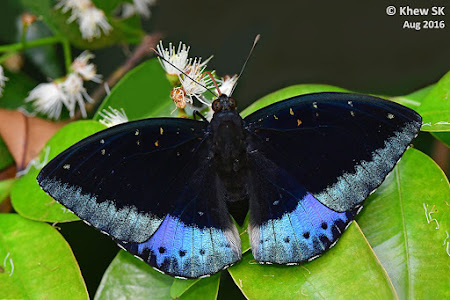 Inside the forest trail, there are also opportunities to observe many different forest-dependent species that one will not often find in urban parks and gardens. Due to the variety of forest host plants, many species of butterflies that are associated with these plants can be found here. 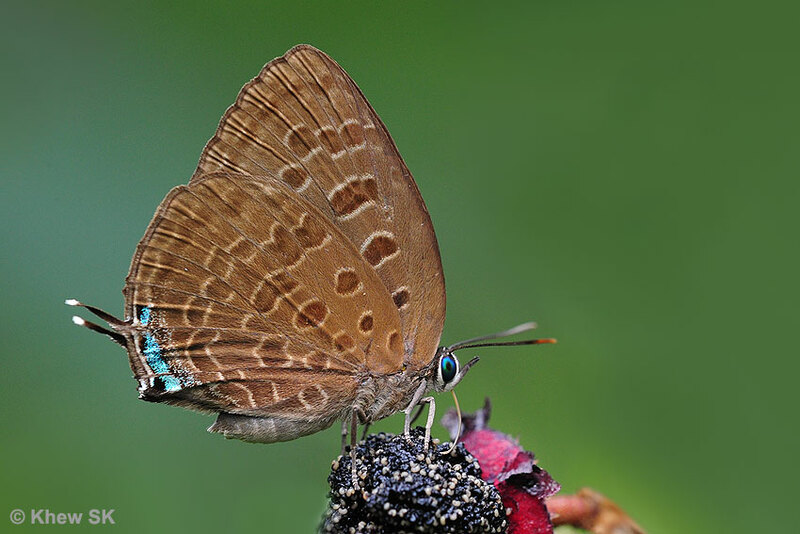 In the shaded understorey of the forested areas, look out for the ground feeders like the Archdukes, Common Faun, Saturn and Dark Blue Jungle Glory. 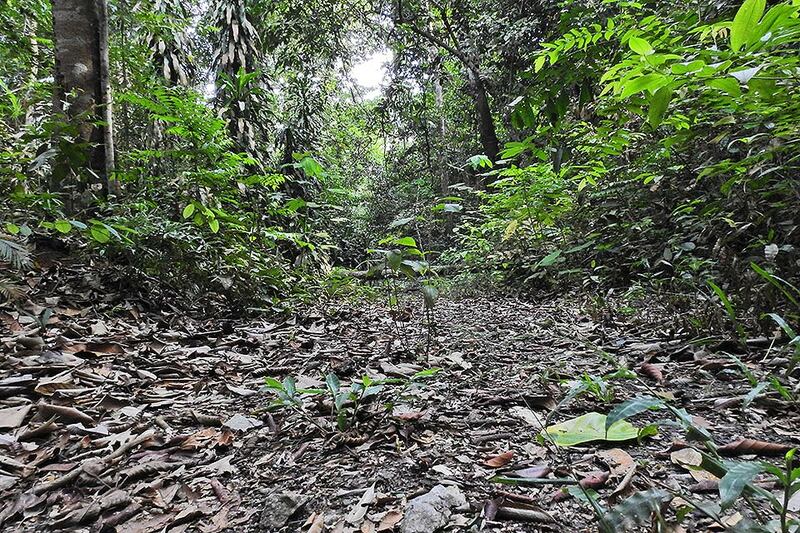 Across from Mandai Road Track 7, the forest trail continues into an elbowed track and leads out to the other side of the road and to the roundabout "dead end" where the National Cadet Corps' canoe shed is. 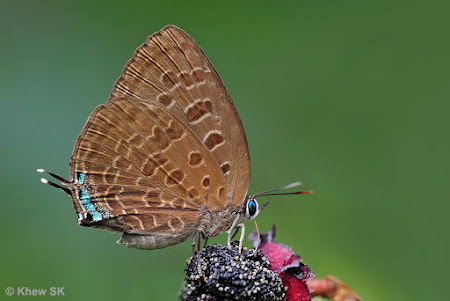 That area is also often a good hunting ground for butterfly watchers. 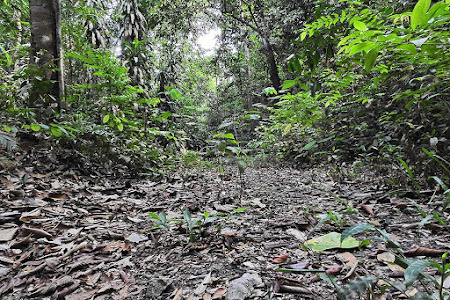 Note that access beyond that area is not permitted and one chooses to wander beyond the out-of-bounds limits at their own risk. 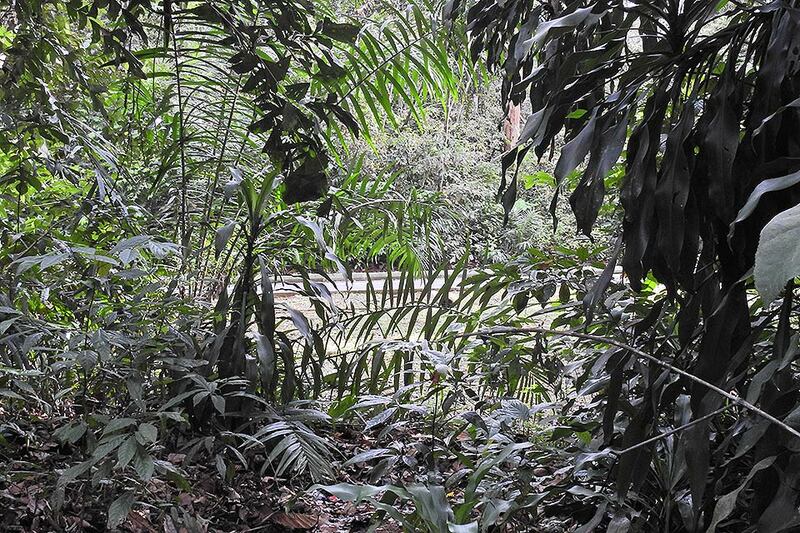 Please comply with the 'no-trespassing' signs by MINDEF and NParks. 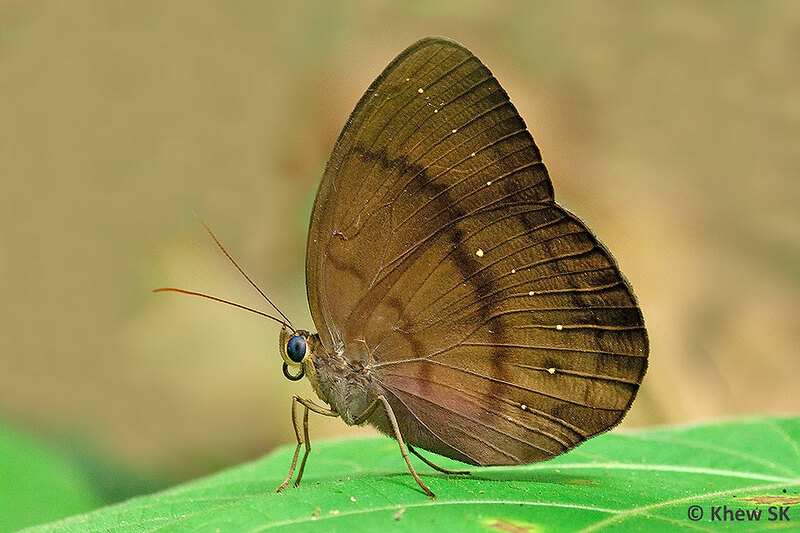 As many species of butterflies like to fly around forest edges, the open areas fronting the lush vegetation are often good places to wait for butterflies to appear. Areas where there are flowering plants like the Ixora bushes, and even the wildflowers like Asystasia or Elephant's Foot are worth exploring. The invasive creeper, Smilax bracteata, a bane of parks managers, is also useful in that it is the host plant of two small Lycaenidae - Branded Imperial and Yamfly. 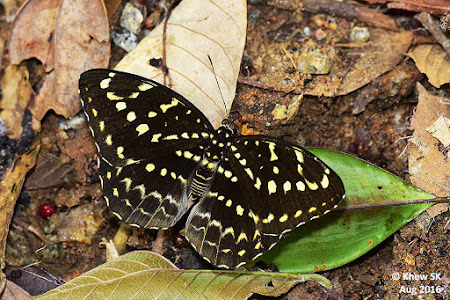 Expect to see these two species in the forested areas. 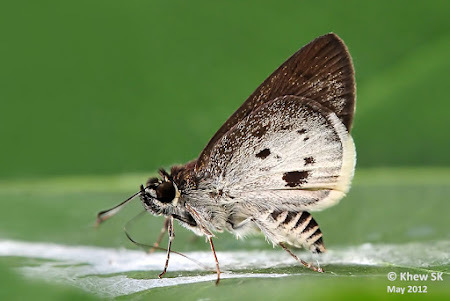 Due to the large numbers of different species of Palmae, Poaceae and Arecacae, there are many Hesperiidae and Satyrinae that can be found in the vicinity. The variety of parasitic plants that occur on the mature trees will also play host to a number of rare Lycaenidae, and indeed, the occasional sightings of such species will always make a trip to such nature parks worthwhile! 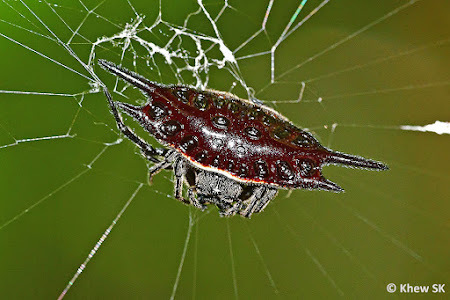 As in any "wild" nature areas, be prepared for mosquito bites, the occasional bee/wasp sting, ticks (more recently, due to the presence of wild boars), snakes, centipedes and aggressive Long-Tailed Macaques. There are several troops of the macaques in the area, foraging for food, and human-macaque interactions in recent years have made them familiar with the food that comes with the "hairless monkeys". 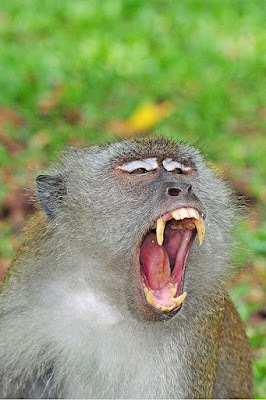 There have been regular reports of these macaques snatching food (or anything that looks edible) from visitors to the nature park. Besides butterflies, Upper Seletar Reservoir Park (codenamed "USR") is a hotbed of biodiversity, with many other taxonomic groups also recording a wide variety of species. 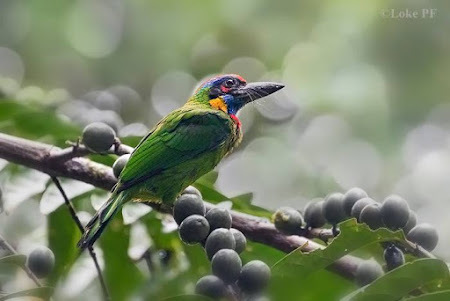 Birders have often spotted rarities in the area and it is not surprising to see bird photographers with their big guns crowding the narrow trails of USR whenever a rare sighting is shared across the online groups. 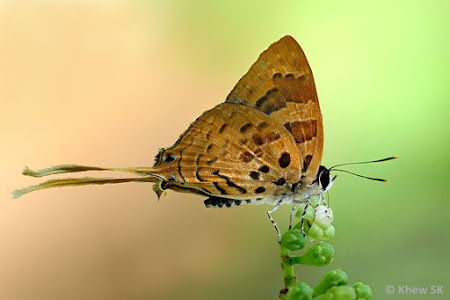 The Plane, a rare Lycaenid that regularly makes an appearance at USR. 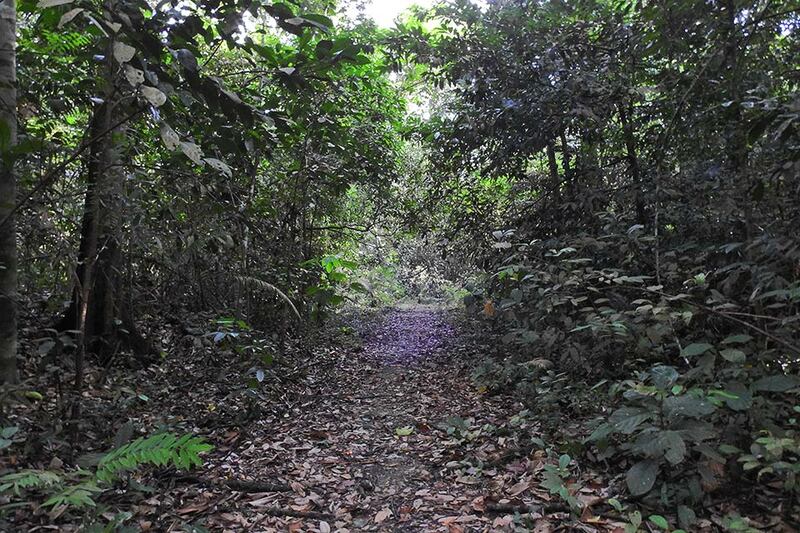 Remember that this is a nature area and do not collect, damage or harm any of the biodiversity that you come across. 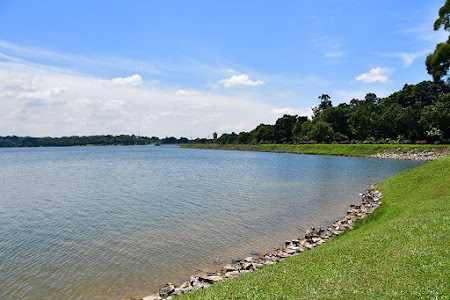 Upper Seletar Reservoir Park has a lot to offer in terms of its flora and fauna, and it is hoped that the park will remain as a biodiversity haven for many years to come, so that different stakeholders can continue to enjoy the park. By MRT/Bus : Nearest current MRT is Khatib Bongsu, and thereafter by bus to Mandai Road. 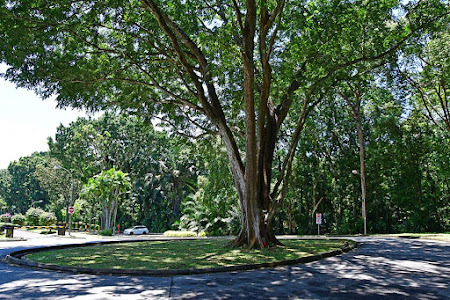 A future MRT station is being constructed near Springleaf area along Upper Thomson Road. Bus service No. 138 will stop just outside Upper Seletar Reservoir Park along Mandai Road. 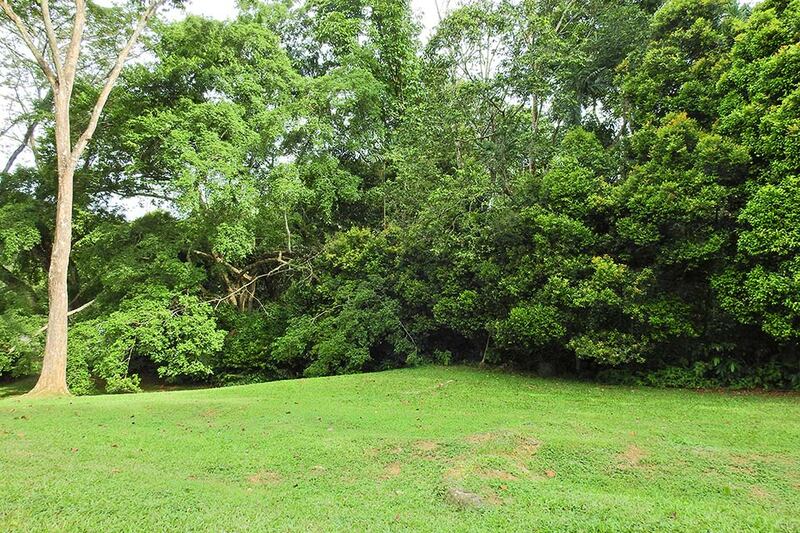 By Car : See map for details. 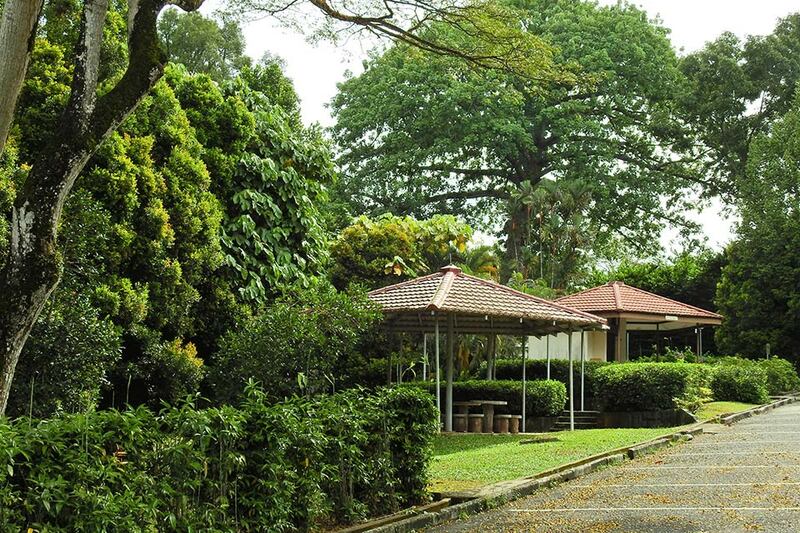 Park at Car Park 'B' and look for the pavilions as a starting point. 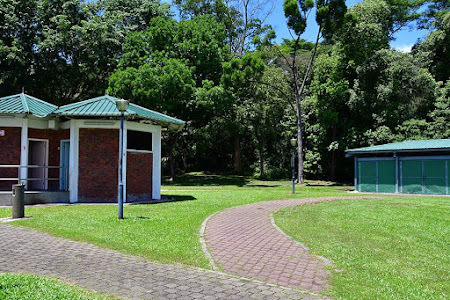 Alternatively, park at the car parks along Mandai Road Track 7 towards the dead end near the toilet block adjacent to the NCC canoe shed. 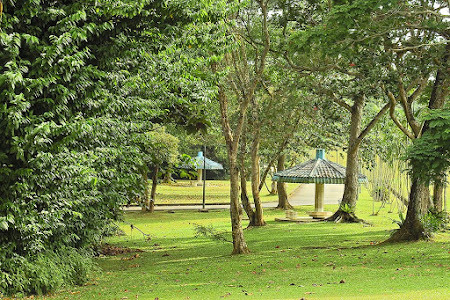 Car parking is free.